It’s been years since I shared my daily makeup routine. My first concern is my skin because i have uneven skin tone, scars and dull skin. Finding a foundation that suitable for my skin wasn’t quick and easy for me. I tried a lot and this is by FAR the best option I have found. Goodbye foundation and bb cream! 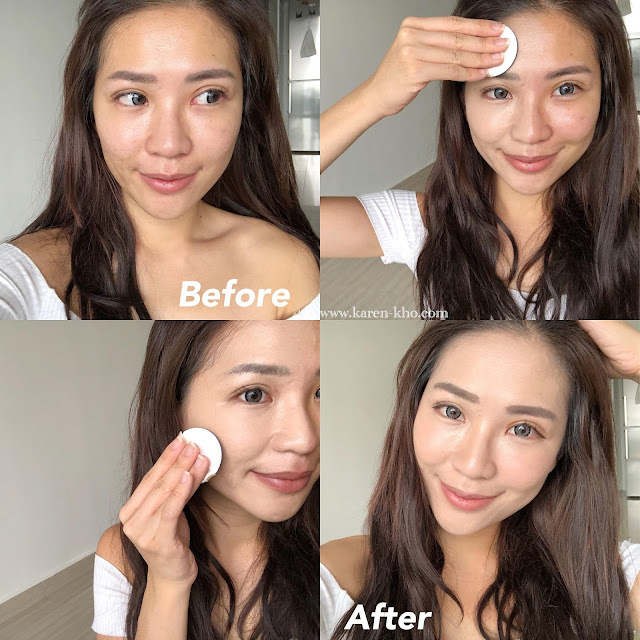 In my everyday make up, i use cushion instead of foundation because it is much more easier to apply and more even application. I don’t use concealer all the time, unless there is a photo shoot and event day. 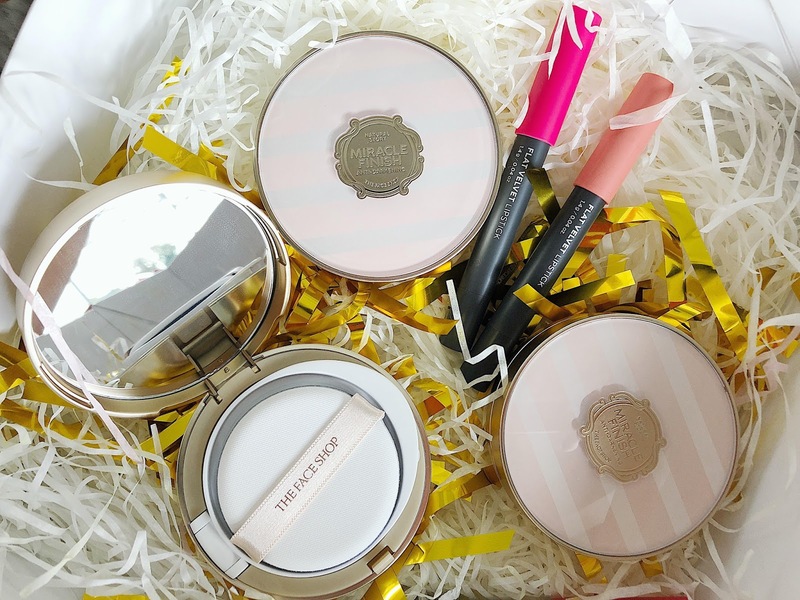 If you ask me, my priority for my daily makeup would be cushion and lipsticks. This two item is a MUST! 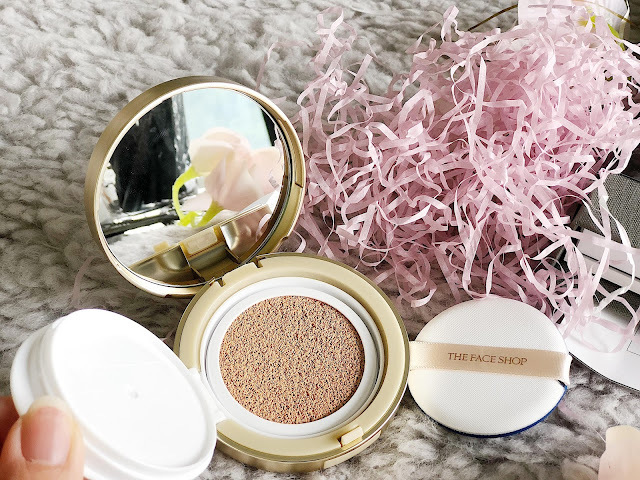 Recently, i’ve came across this newly launched product from THE FACE SHOP which is Anti-Darkening Cushion & Flat Lipsticks and i’m in love with it. This Anti-Darkening Cushion Foundation is the newest extension to the Miracle Finish line. It’s specially designed to combat dullness, brighten up your complexion and give you velvety-smooth skin all year round. 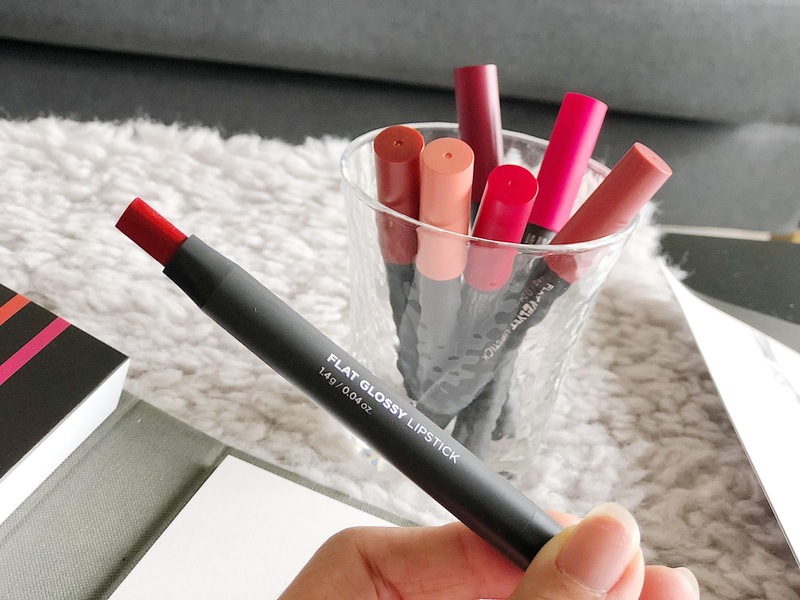 Yes, this is your answer to a long-wearing, perfect complexion – even without the need for touch-ups! Here is a BEFORE and AFTER of my face applying the Anti-Darkening Cushion. You can tell my skin is dull and uneven skin tone before applying anything. Second photo on the right is right after applying the cushion on half of my face. See the different! It is pretty easy to apply and the coverage is good and it won’t feel cakey and dry at all. Love it! comes in 4 versatile shades for warm- to cool-toned complexions. Available at all THE FACE SHOP outlets from January 2018. Last but not least, Lips color can give you a boost in the most adverse situations. Lips color is one of my most important part of the make-up. 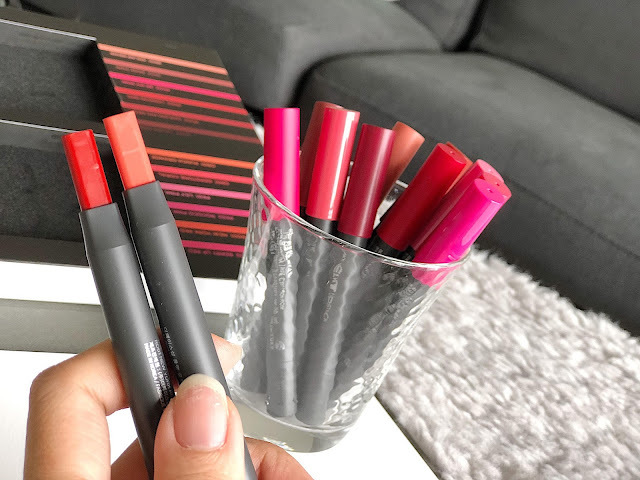 No matter the time of year or the trend of the moment, every woman should have a few lipstick colors in her collection. 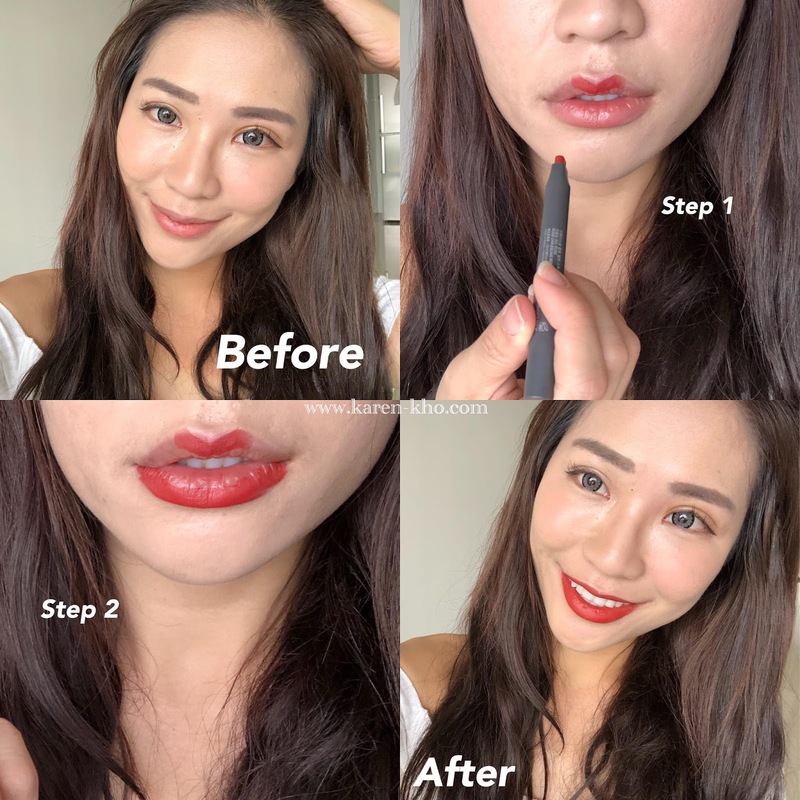 Since a lipstick can change your mood and is a key ingredient in many finished looks. It is a MUST for me to complete my looks. 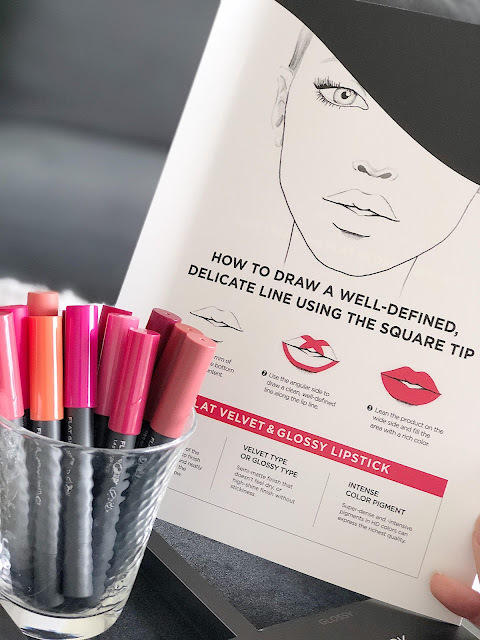 Silky Texture System ‘Silicon cross polymer’ that feels weightless & non-sticky, makes the texture glide over by filling up the fine lines of the lips. High Glossy Polymer Network A ‘Polymer network’ is built when the formula is applied to the skin. 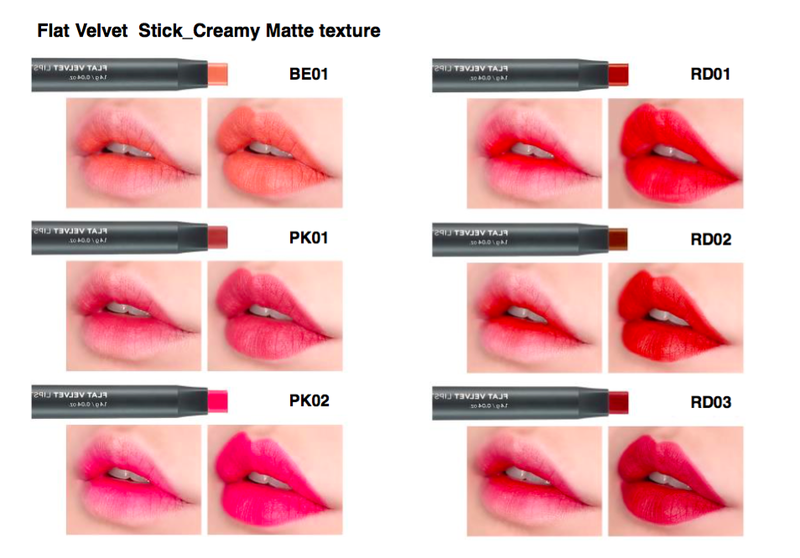 It helps pigments to fit onto the lips and coats the surface evenly. 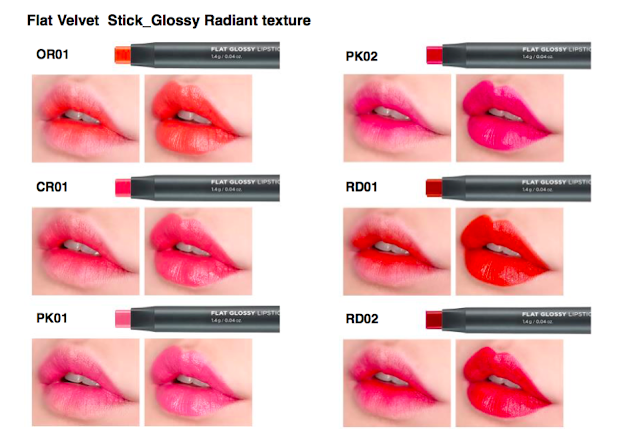 Eventually, this results in an ultra-glossy shine and intense colour expression. Enabling moisturizing finish, excellent gloss without stickiness. Yes, as i mentioned earlier. It is a flat shape lipsticks and it is much easier to apply compare to the normal lipstick. 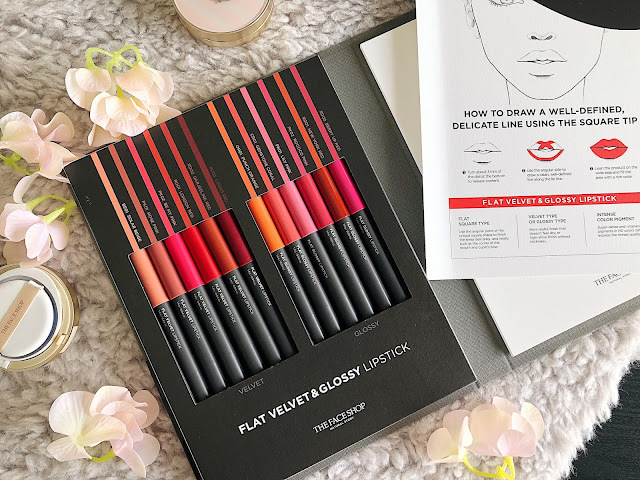 It is like a lipstick and lip liner in one! These three are my favourite among all. 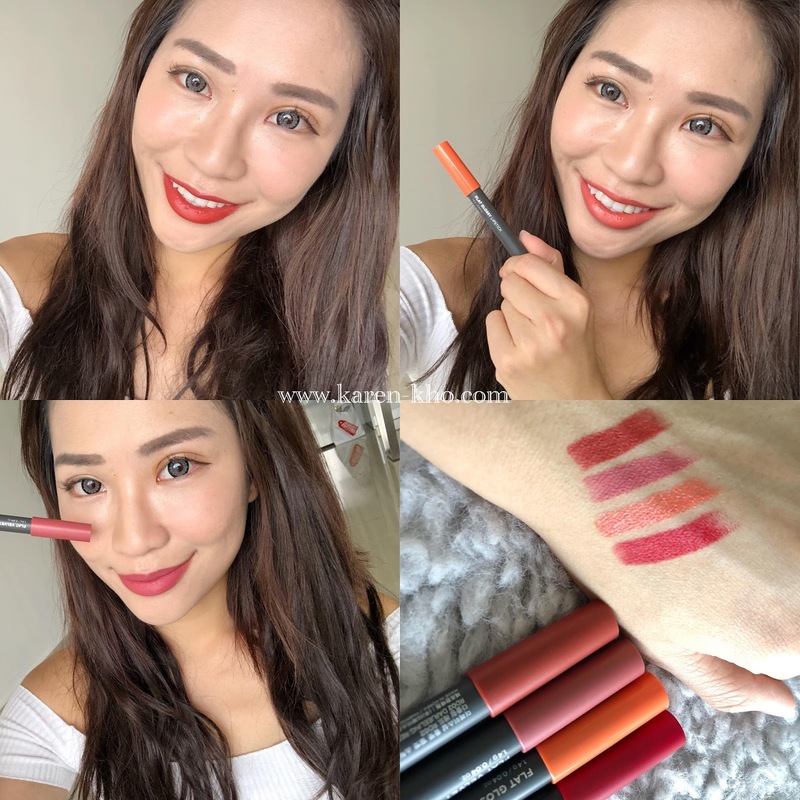 I really love the texture of the lipstick because it is so smooth and easy to apply. 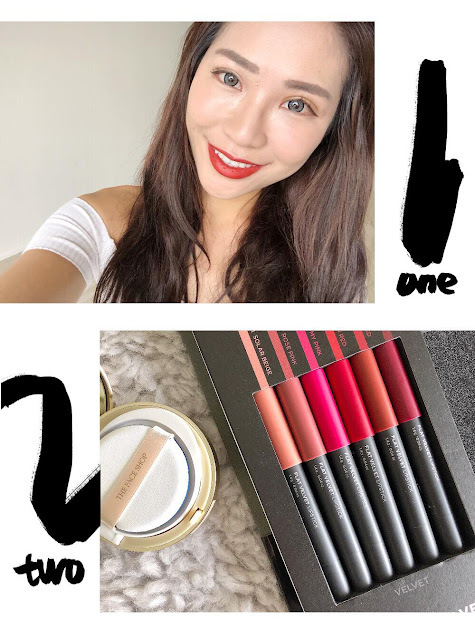 The colour is quite lasting too and the shape of the lipsticks is so portable, easy to carry around with my small bag. Alright, That's all for today, hopefully my sharing helps! Do comment down below and let me know if you want to know more about my make-up products and skin care routine.